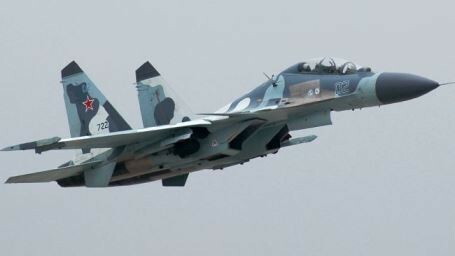 The final contract for the sale of Su-35 fighters is set to be signed, as announced by Yuri Slyusar, chairman of Moscow-based United Aircraft Corp., at the Paris Air Show. The news was cited in an article for the Washington-based National Interest magazine by American defense analyst Zachary Keck. According to the article, Russian President Vladimir Putin had approved the sale of the Su-35 to China back in 2012, and the two countries have been negotiating the deal since then. The deal has not been conclude due to fears by Russia that China will reverse engineer the 4++ generation multi-role fighter jet and build their own domestic version like what China did with the Su-27 30 years ago. Moscow has also expressed concern about China's desire to buy only a small number of the fighters since China could reverse engineer the 24 Su-35 fighter's NIIP Irbis-E passive electronically scanned array radar and 117S engine. If this happens, it would end possible future export deals to China and a loss of both technology and cash for Moscow, the report said. In consideration of this reason, Russia had reportedly asked China to purchase at least 48 fighters, but its position later softened due to the mounting tensions with the West over Ukraine. Sources from the Russian defense industry, however, said that as of Nov. 2014, China only needed to purchase 24 aircraft. The sources added that the contract was likely to be signed at the time, between late 2014 and early 2015. But for unknown reasons, the contract signing was delayed again. The Su-35 fighter can help the People's Liberation Army Air Force extend its operational range and will enhance China's ability to enforce its claims over the disputed waters of the South China Sea.